Join us for PLAYGROUP Tuesday mornings during the school year! Our playgroup is open to ALL moms, dads, grandparents and caregivers, and children ages 0-5 are welcome--even if your child is not enrolled at Saint Mary School! 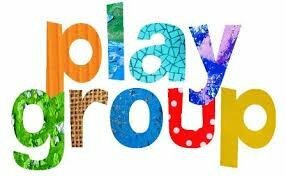 Playgroup is on Tuesday mornings when school is in session from 9:30 AM - 10:30 AM. Come and enjoy socializing, music, dancing, stories, snacks, and crafts! Check out our flyer!